Hand dyed SW Merino DK yarn for your most beautiful knitting and crocheting projects. 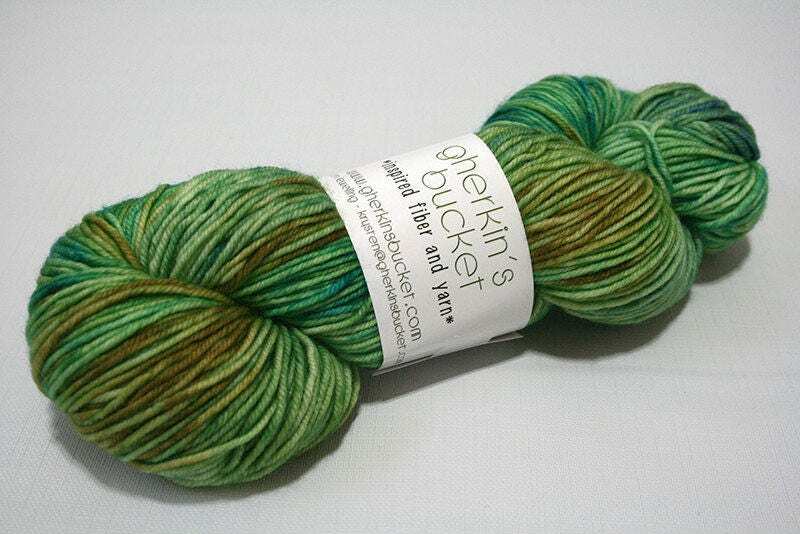 This kettle dyed, contrast-splash yarn will add interest to your project. Vegetate is a fresh green with multi green and blue contrast splashes that appear throughout your project. Every skein is unique and will marble differently - enjoy!